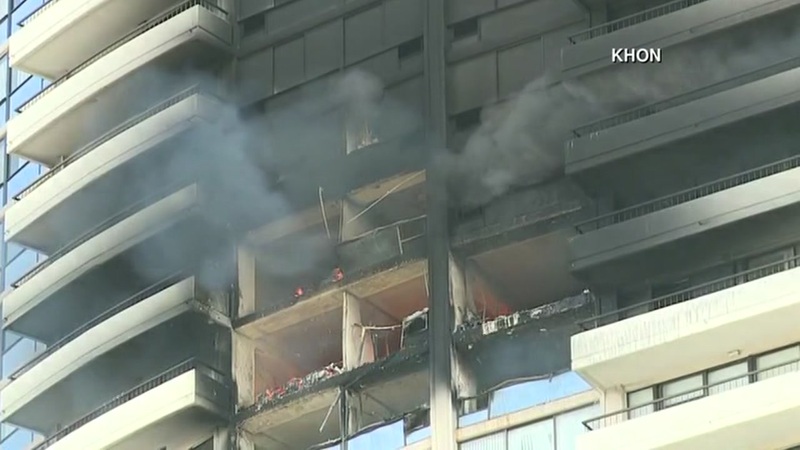 HONOLULU (KGO) -- Officials confirmed at least three people dead in the Marco Polo high-rise fire that broke out Friday evening in Honolulu. Smoke and flames could be seen pouring from the building as officials worked on putting the fire out. Debris falling from the building caused secondary fires on other floors, according to officials.